Worried about your credit? We can help. 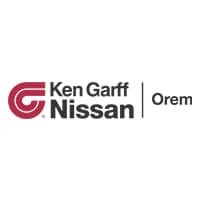 The Fresh Start program at Ken Garff Nissan of Orem is designed to help those struggling with low credit, no credit, or recently discharged bankruptcies. No matter your situation, our team is ready to help you. Q. Is it possible to get a car loan while filing for bankruptcy? A) Yes! In fact, securing an auto loan during a bankruptcy is an important step toward rebuilding your credit score. Filing for bankruptcy isn’t the greatest experience, but with the right car loan, you can start rebuilding your credit. Q. Is a good credit score necessary for getting a car loan? A) Not at all. With our fresh start auto loans, we work to help customers who aren’t in the best of financial circumstances secure a car loan with a reasonable APR. We try to give you the options you deserve even when your credit rating isn’t where you want it to be. Q. Will my vehicle selection be limited due to my credit score? A) Not necessarily. While many customers worry that having a bad credit score will severely limit their vehicle selection, the reality is that our team has years of experience with helping people purchase vehicles that they didn’t they could ever qualify for. Q. I’m worried about being stuck with a high interest rate if I am qualified. What are my options? A) With our fresh start auto loans, we are able to help you gain control of your financial future. As you make car payments, we are able to lower your interest rate!